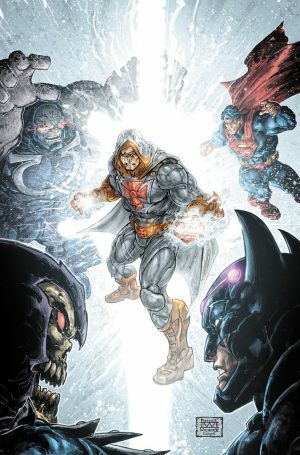 DC Comics Universe & January 2019 Solicitations Spoilers: The Injustice Of He-Man Harnessing The Power Of Shazam?! DC Comics Universe and January 2019 Solicitations Spoilers follows. The Injustice Of He-Man Harnessing The Power Of Shazam?! He-Man is beset on all sides—by enemies and allies alike. If he helps Superman use the Nexus, he may save Earth from ever falling to injustice. But Skeletor has a marvelous trick up his sleeve! The battle rages, but who will prevail?